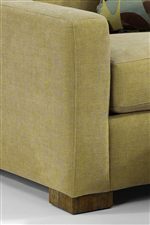 Contemporary in style this chair and ottoman set features a simple, refined design. Track arms and exposed wood legs carry out the modern casual feel of the piece. 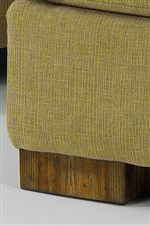 Customize your choice of fabric and wood finish to match your existing furniture or to create an entirely new look. The Bryant Contemporary Chair and Ottoman with Exposed Wooden Legs by Flexsteel at AHFA in the area. Product availability may vary. Contact us for the most current availability on this product. 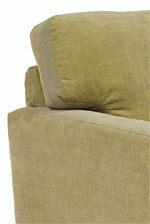 7399-08 Ottoman 1 31" 23" 18"
7399-10 Chair 1 37" 38" 36"
Seat Ottoman has luxury cushion with sinuous wire and chair comes standard with plush cushion and can be upgraded to extra firm luxury cushion.